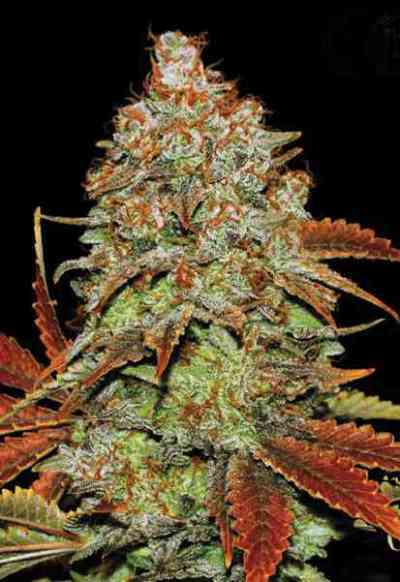 G14 is the most stable strain that is offered by Fast Buds seed bank. It's the successful outcome of work conducted by their botanists who strove to design a strain that could be cultivated in all conditions. With this variety, all efforts have been expended to improve the Lowryder lineage while preserving its finest qualities, especially with regards to its most prominent features: quick blooming times, compact form, and an overall discrete growth profile. This variety is ideal for urban gardening and adapts well to cityscapes. It's great when grown in a container on a balcony, in a greenhouse, or in a grow closet. G14 is a survivor that will gratify you with awesome results. 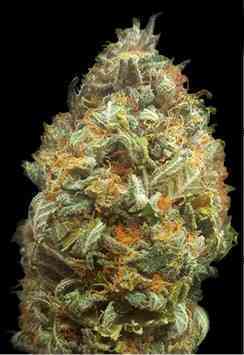 Taste: G14 has a rich sweet citrus woody aroma which is present throughout the growth of the plant. Effect: It acts like an analgesic pill. It reduces pain that exists post-operatively, that is due to stress, and that's related to treatments for various serious conditions and diseases. Also, its effect draws one into a state of meditation that helps to heal the body, mind and spirit. On a physical level, it helps to relax the muscles and stabilizes the nervous system, thus serving as a weapon against stress. Yet it accomplishes this without inducing sleepiness, making it acceptable for day use. Growing: It's perfect for beginners since it seems to be unfazed by diverse weather conditions and neglectful watering habits. Primarily Indica, it's the result of crossing two Lowryder strains with G13 Hash Plant contributing to overall performance and stability. It is ready for harvest just 9 weeks from germination. Growers are surprised by its short, stocky profile that's crammed into a height of about one meter, making it perfect for growing indoors with limited space. Following germination, it rapidly springs forth, growing several sets of leaves, then almost immediately and automatically begins flowering. Its yield is excellent, providing 400-550 g / m2 indoors, (1.2 pounds per light) and 70 to 250 g per plant outdoors (2.4 – 9 oz). It is appropriate for amateur as well as expert growers who wish to grow specimens with great potential and superb performance. It's a plant that has the ability to self-regulate growth, and sets her cycle to "on" mode. Throughout its growth it will release aromas of citrus, ripe fruit and wood. At the time of harvest, its aroma intensifies and resembles the purest and most delicious Moroccan hashish. 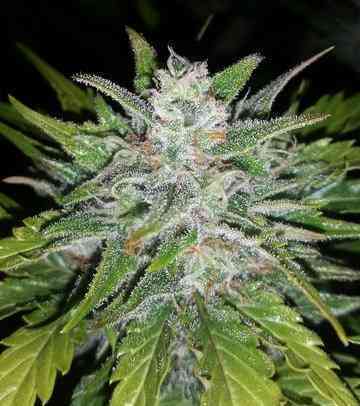 Its chemical composition makes it perfect for medicinal use. With a THC content of no less than 18% accompanied by 0.9% CBD. If you plant FastBuds G14, you'll fall in love with it and will grow it again every cannabis season.